My recent acquisitions from Calvin's HKNowstore included the Pentagram. Designed by Eric Vergo initially and mass produced by MF8, this is a deep cut corner turning dodecahedron - this will make it similar to the Bauhinia Dodecahedron but will be different because the deeper cuts mean that there are corners to take into account. My initial experiments have allowed me to work out how to move centres around, corners around and the flat triangle pieces. Before I am finally ready for a full scramble I will need to find a technique to move the star tip pieces around! I have spent an hour looking for an algorithm so far and not found it yet - more time required! I also might need to dismantle it to file the points down as it is really very catchy at the moment. Also I have scrambled something and suspect it will stay that way! Yes the horror below is theoretically solvable! 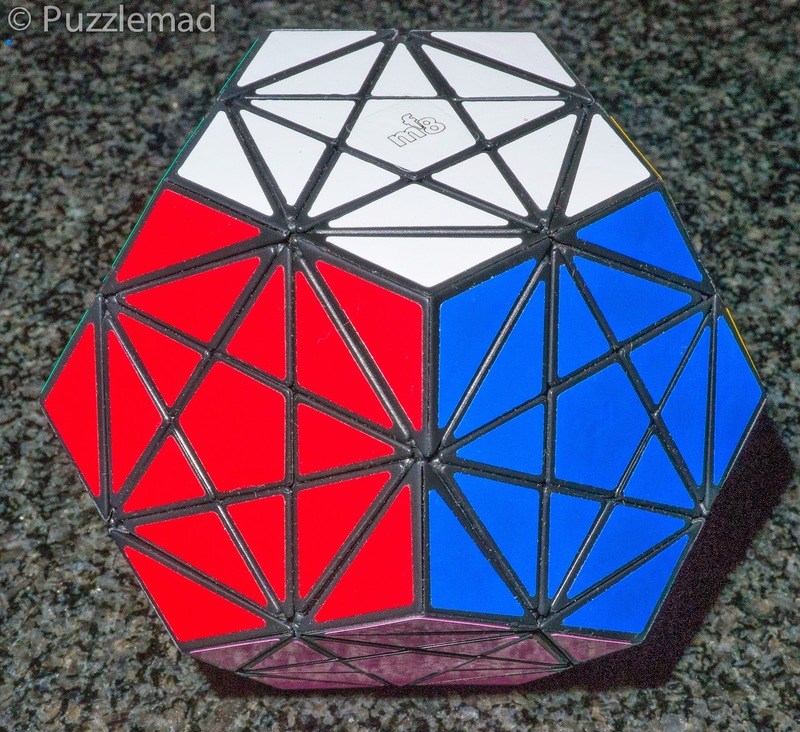 It is the 2x2 megaminx - from Witeden. I managed to scramble it with a lot of pain and much swearing! 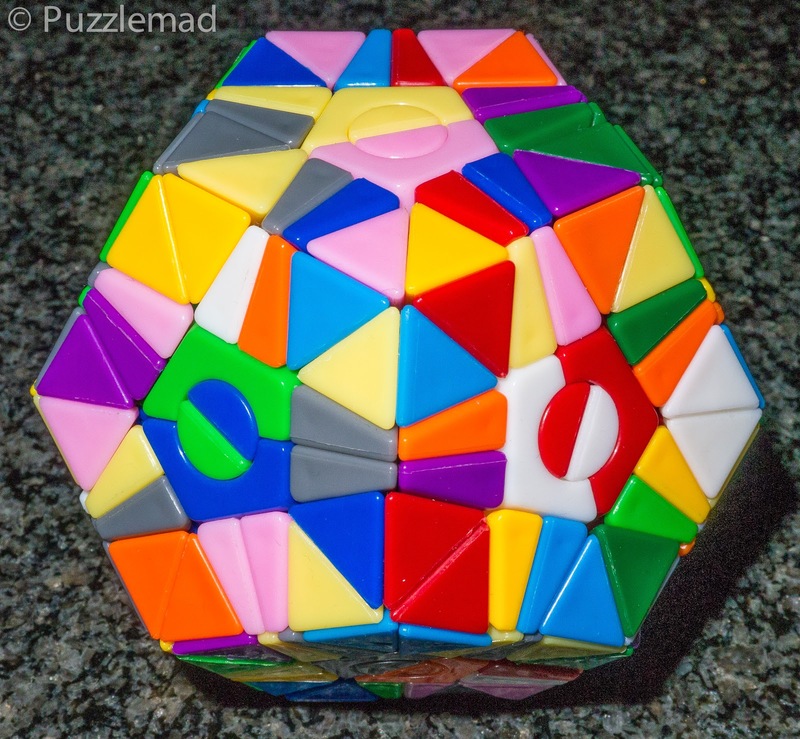 The construction is terrible and the puzzle is so difficult to turn that I actually don't think I will ever be able to solve it - my friend Rline from the Twisty Puzzling forum and YouTube channel has described it as a paperweight - I think he is right!